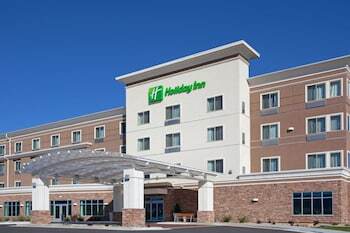 Located in Casper, Holiday Inn Casper East - Medical Center is a 4-minute drive from Edness Kimball Wilkins State Park and 7 minutes from Eastridge Mall. Featured amenities include complimentary wired Internet access, a business center, and express check-out. Event facilities at this hotel consist of conference space and meeting rooms. A roundtrip airport shuttle is complimentary during limited hours.